Rayonier Advanced Materials Inc (RYAM): Are Hedge Funds Right About This Stock? A whopping number of 13F filings filed with U.S. Securities and Exchange Commission has been processed by Insider Monkey so that individual investors can look at the overall hedge fund sentiment towards the stocks included in their watchlists. These freshly-submitted public filings disclose money managers’ equity positions as of the end of the three-month period that ended September 30, so let’s proceed with the discussion of the hedge fund sentiment on Rayonier Advanced Materials Inc (NYSE:RYAM). Is Rayonier Advanced Materials Inc (NYSE:RYAM) the right pick for your portfolio? Investors who are in the know are taking an optimistic view. The number of bullish hedge fund bets inched up by 4 in recent months. RYAM was in 24 hedge funds’ portfolios at the end of the third quarter of 2016. 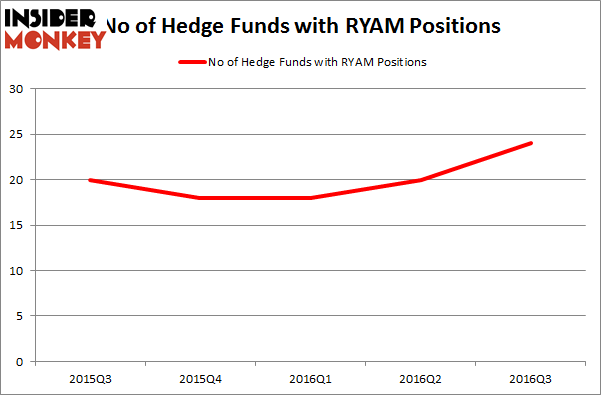 There were 20 hedge funds in our database with RYAM holdings at the end of the previous quarter. 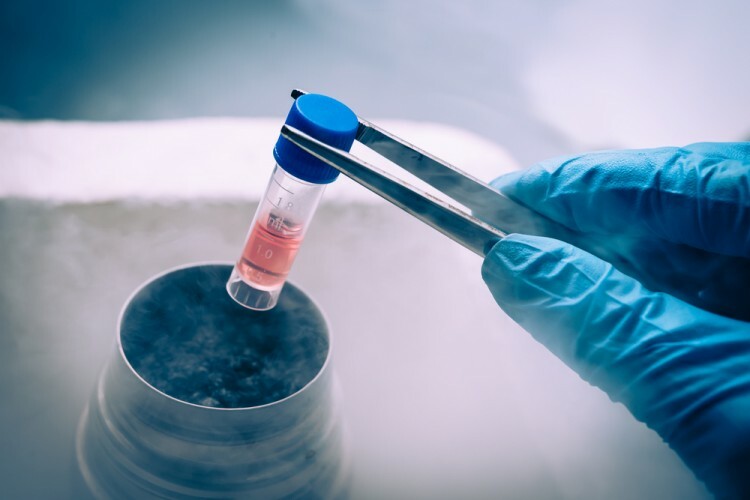 At the end of this article we will also compare RYAM to other stocks including Virtus Investment Partners Inc (NASDAQ:VRTS), CTS Corporation (NYSE:CTS), and ePlus Inc. (NASDAQ:PLUS) to get a better sense of its popularity. What have hedge funds been doing with Rayonier Advanced Materials Inc (NYSE:RYAM)? Heading into the fourth quarter of 2016, a total of 24 of the hedge funds tracked by Insider Monkey held long positions in this stock, a 20% increase from the previous quarter. Hedge fund ownership has now risen in two straight quarters to reach a yearly high. With hedgies’ capital changing hands, there exists an “upper tier” of noteworthy hedge fund managers who were boosting their stakes substantially (or already accumulated large positions). According to Insider Monkey’s hedge fund database, Jim Simons’ Renaissance Technologies has the number one position in Rayonier Advanced Materials Inc (NYSE:RYAM), worth close to $40.5 million. The second most bullish fund manager is AQR Capital Management, led by Cliff Asness, holding a $15.8 million position. Other members of the smart money that are bullish contain Michael Platt and William Reeves’ BlueCrest Capital Mgmt., Peter Rathjens, Bruce Clarke and John Campbell’s Arrowstreet Capital and John M. Angelo and Michael L. Gordon’s Angelo Gordon & Co. Here is What Hedge Funds Think About Danaher Corporation (DHR) Does F5 Networks, Inc. (FFIV) Represent a Good Addition to Your Portfolio? Is Rite Aid Corporation (RAD) Worthy of Your Portfolio? Should You Buy Eli Lilly & Co. (LLY)? Is Johnson Controls International plc (JCI) a Good Stock To Buy? What Smart Money Thinks About The Walt Disney Company (DIS)?